The region of Basel is well known as a Life Sciences hub and as the home of many leading pharmaceutical, med- and bio-tech companies with the most promising product pipelines in the world. Basel offers one of the most innovative environments in Life Sciences worldwide. The Basel area has the most dynamic economy in Switzerland and is one of the most productive and innovative in the world. It provides jobs for around 300,000 people from Switzerland and abroad. By far the greatest economic value added is created by Life Sciences. Basel has the highest density of successful Life Sciences companies worldwide. With Roche and Novartis, the headquarters of two of the world’s largest pharmaceutical companies are located in Basel. The Life Sciences cluster in Basel also comprises many smaller companies (SMUs) and a continually growing number of successful start-ups. Basel is part of the tri-national Bio Valley stretching from Basel to Strasbourg in France. It is not just the local pharmaceutical, bio- and med-tech companies that profit from this dynamic cluster of Life Sciences enterprises. To enforce the collaboration between different parties within the Life Sciences Cluster and build up a community, a new association has been founded in Basel. 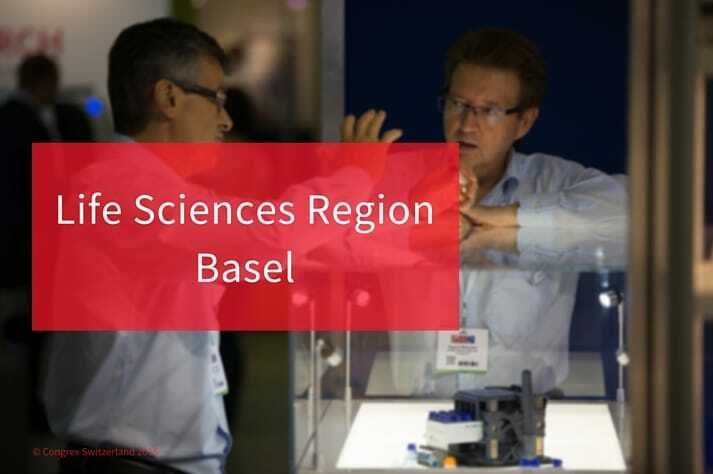 The European Association for Life Sciences (EALS) will be the supporter of activities within the field, especially of the Basel Life Science Week which is now home of the long-established MipTec Exhibition. Year after year, at the Congress Center Basel, the annual MipTec conference on drug discovery has driven 3000 participants from over 50 countries. Over 100 scientific talks, 150 poster presentations, 10 industry symposia, and more than 100 exhibitors, covering a wide array of topics touching every facet of basic and applied research activities are hosted. A true reflection of the breadth of these activities compelled the Steering Committee to title the 2015 science conference as ‘Basel Life Science Week and the MipTec Exhibition’. As an important note: Basel Life Science Week and MipTec Exhibition are free of registration fees if participants register online in advance. (Click here to register free in advance). Interested can follow #BLSW on Social Media and join the discussion. It is an exciting time for life sciences research, as many fundamental discoveries in laboratories around the world have transitioned into break through applications for human health. CRISPR mediated gene editing is enabling faster developments in gene therapy, Chimeric Antigen Receptor T-cells (CARTs) are making possible complete remission from leukaemia, and breakthroughs in technologies as in NGS and Mass Cytometry, are allowing sensitive analysis of cells to usher in the era of precision medicine. The Basel Life Science Week and the MipTec exhibition continues to bring inspired people together in cross disciplinary forums to ensure research applied to human health remains at the cutting edge. Prof. Dr. med. Kushru Asadullah, Professor at Charité Medical Center, and former Bayer Healthcare Vice-President & Global head of Biomarkers. The 2015 science programme (click for Interactive Programme View) will have multiple Forums (click for Forums) with leading science and life sciences experts covering advances in Aging, Cell Signaling, Medicinal Chemistry, Synergy of combination Drug Therapies, Next Generation Sequencing applications, Information Management, Stem Cells, Peptide Therapies, GPCRs and Translational Medicine. In addition, the annual MipTec Industry Exhibition, networking socials, lunch hour symposia, poster presentations, and pre-conference workshops will allow for enhanced learning and networking.